Choose a highlighted area to toggle an asset map. Parkmead is continually expanding its portfolio of high quality assets covering the three main areas of E&P operations; exploration, development and production. As at April 2018, Parkmead produces approximately 780 barrels of oil equivalent per day from a portfolio of four gas fields in the Netherlands. Parkmead holds a 7.5% to 15% working interest in four producing onshore gas fields in the Netherlands; Geesbrug, Brakel, Grolloo and Diever West. Parkmead holds a number of assets in the development stage of the asset life cycle. The company operates the major Greater Perth Area oil hub project in the UK Moray Firth, and holds stakes in a number of nearby oil fields which could potentially form part of a large joint development, such as Athena, Polecat and Marten. 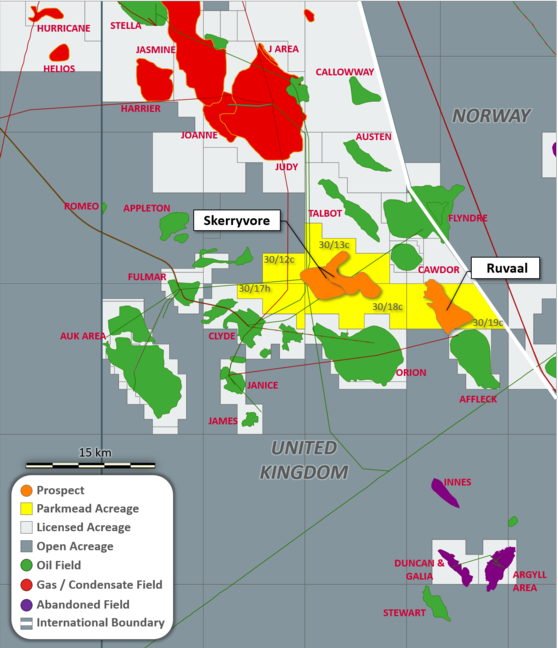 In addition, Parkmead has a stake in the Platypus gas development in the Southern North Sea and a number of oil and gas developments in the Netherlands. 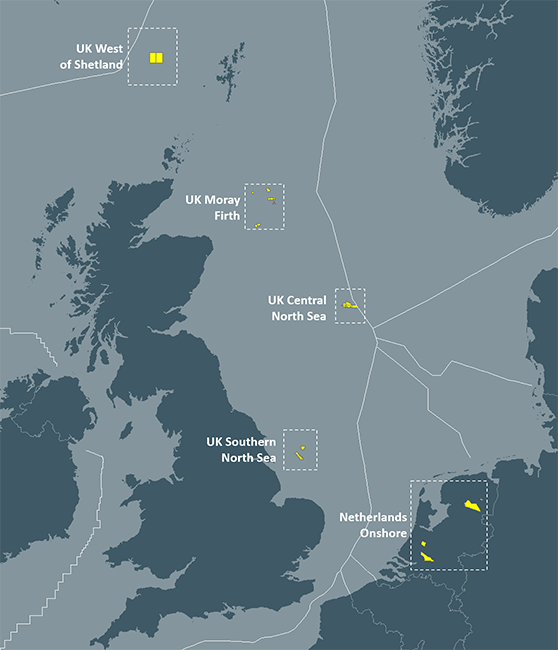 Parkmead has interests in numerous exploration blocks in the UK and Netherlands, ranging from high impact exploration in the UK West of Shetlands to near-term exploration onshore Netherlands. The group was awarded interests in 9 blocks in the UKCS 30th Licensing Round. This builds upon prior success in the UKCS 27th and 28th Licensing Rounds, where interests in 30 and 12 blocks were awarded respectively.